ng regarding our life in this Year of Mercy. We have been asked to take up the Spiritual Works of Mercy and Corporal Works of Mercy and to outreach mercy. 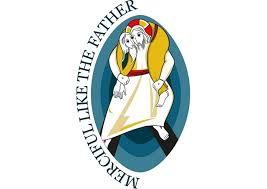 It is also a time to promote divine mercy devotion and to be authentic missionaries of mercy. MQH family had decided to make efforts to be known more as compassionate and merciful community within and outside. I am sure individually and collectively we have done a lot. We increased the time of confession, we do “ignite”. We are going to do parish mission. I am thinking, have we been visible as a community that outreaches mercy in comparison with all what we do. Life that does not show a merciful face to the poor becomes a counter witness in the society. If more and more MQH members find much more time to be generous, MQH face will be much more merciful face of the Lord. Also, I will make every effort to pray one hour in prayer before the Blessed Sacrament for the coming few months. The central request of this prayer time will be for this country, our parish community and for my personal sanctification. Thursdays, do not forget to visit the Lord who is exposed in the Blessed Sacrament from 8 am to 5 pm. In the Old Testament, numerous times, the children of Israel turned to their God in hope and faith for God’s help in every difficult situation. I believe in the power of prayer. I believe that this election time is one of those times our county need to turn to God for direction for the future of our children. What a wonderful way for families to come together before the Eucharist and ask the Lord for direction. A young guy came this morning and asked: Fr. Niby, do you play fantasy football? “Oh no! I am not a football fan. Football is Greek to me. Do you like to teach me football? May our Blessed Mother help us to be merciful!